Built with high quality materials and designed to make the mostof the amazing Wacom Pro Pen 2, Wacom Intuos Pro is our finestcreative pen tablet to date. With built-in Bluetooth connectivityand a sleek new design, it’s easy to set-up and looks great on yourdesk. Start creating your next stand-out project. Artists, designers, illustrators – each has their own way ofworking. Some are immediately and purely digital; others love paperat the start of their workflow. Wacom Intuos Pro lets you enjoyboth. Wacom Intuos Pro Paper Edition lets you choose how you work. Youcan draw in ink on your preferred paper with our 0.4mm Finetip Penand capture every stroke in real time – ready to edit in yourfavorite software. You don’t need to be connected to a computer orthe Internet; it’ll store up to 200 sketches, ready for you to syncusing the Wacom Inkspace app. 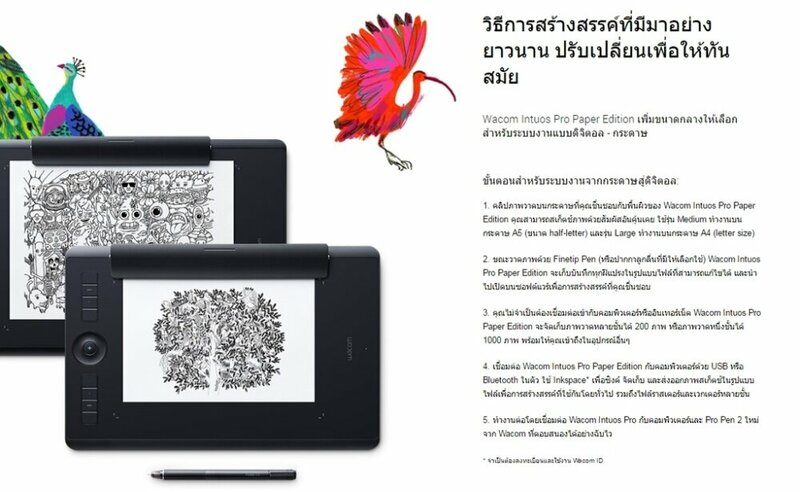 Alternatively, connect Wacom Intuos Pro Paper Edition to yourcomputer and work digitally from start to finish with our sensitiveWacom Pro Pen 2 – just the same way as you can with Wacom IntuosPro. Connect Wacom Intuos Pro to your Mac or Windows PC with USB orbuilt-in Bluetooth, install drivers, and you’re ready to start workdirectly in the software of your choice. Sketch with the new WacomPro Pen 2 on the customizable drawing surface* and see yourcreations brilliantly come to life on screen. Wacom Intuos Pro comes in both Medium and Large sizes. Each hasa smaller, more compact footprint than previous models. WacomIntuos Pro is built using premium materials such as black anodizedaluminum and fiberglass composite resin. The result is a pen tabletthat feels reassuringly strong but is a mere 8mm thick. Included with every Wacom Intuos Pro, the new steel based PenStand stores your spare nibs and has a built-in tool to makereplacing them super-simple. Wacom Intuos Pro Paper Edition comes with an Accessory Soft Casefor carrying your Paper Clip, pens, and other accessories. Our new Wacom Pro Pen 2 will instantly become your favoritecreative tool. With supreme levels of sensitivity and control,it’ll feel like a natural extension of your hand.